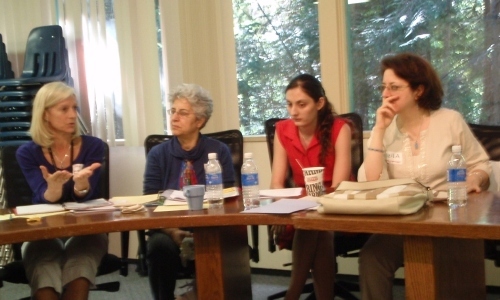 On June 4, 2013 seven recent immigrant women interviewees co-presented research findings with the research team during a 5-hour workshop to an audience comprised of public recreation and community organization staff and managers. Break-out groups, each with one community member, recreation staff, community organization staff, and researcher, brainstormed ideas for taking action on each of the suggested improvements identified by the recent immigrant women interviewees. Research findings and discussion notes from the workshop will be shared with all participants involved in the research project. As well, participants have agreed to share their contact information with the group to continue the dialogue within the community. Findings from this SSHRC-funded research project will form the basis of an interculturalism and physical activity workbook which will be distributed in both hardcopy and electronic formats. Workbook components will be developed in consultation with study participants.